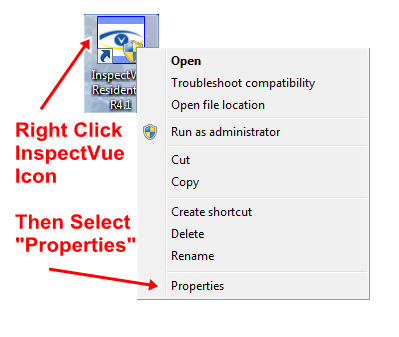 First, start by right-clicking on the InspectVue icon and then selecting "Properties" at the bottom. 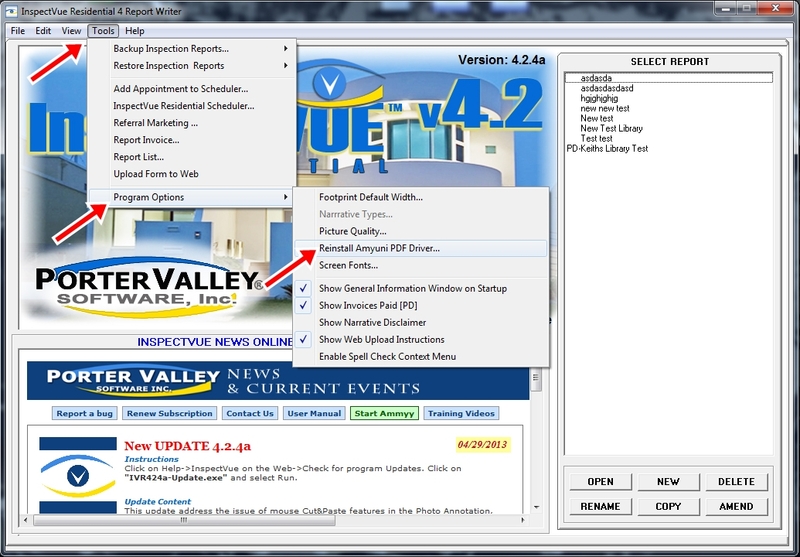 Next, click on the "Compatibility" tab. 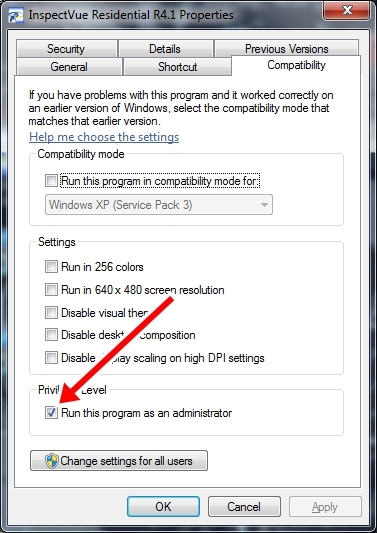 Place a check in the box labeled "Run this program as an administrator"
Repeat these steps for InspectVue Editor icon as well. 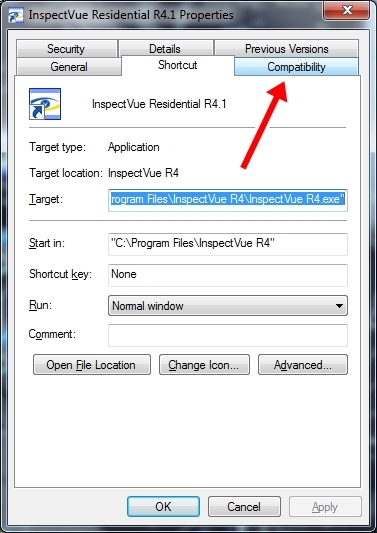 Now, Click on the InspectVue Residential Icon and run the program. 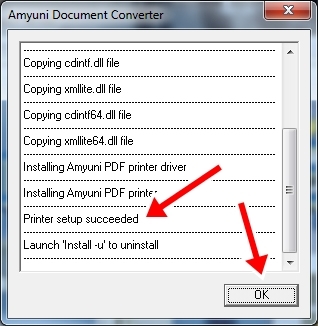 Next, from the top menu, select "Tools"
And Lastly, select "Reinstall Amyuni PDF Driver"
A small window will pop up. Wait until you see "Printer setup succeeded" and then click "OK" to finish up.